As the full implications of the London terrorist attacks by domestic jihadis sink in, Westerners are speaking out about the problem of radical Islam with new clarity and boldness. The most profound development is the sudden need of the British and others to define the meaning of their nationality. In the face of the Islamist challenge, historic identities once taken for granted must now be codified. This can be seen on a diurnal level, where Islamist assertion has provoked a new European willingness in recent months to stand up for tradition – as seen by the banning of burqas in Italy, requiring a German school boy to attend co-ed swimming classes, and making male applicants for Irish citizenship renounce polygamy. When a ranking Belgian politician canceled lunch with an Iranian group after its members demanded that alcohol not be served, his spokesman explained, "You can't force the authorities of Belgium to drink water." As shown by two statements on the same day last week, August 24, leading Western politicians are going beyond these minor specifics to address the civilization at the heart of the matter. The British shadow education secretary and one of the Conservative Party's bright prospects, David Cameron, defined Britishness as "freedom under the rule of law," adding that this expression "explains almost everything you need to know about our country, our institutions, our history, our culture - even our economy." 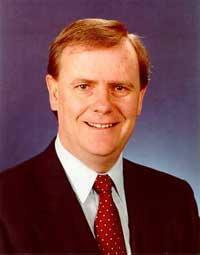 The treasurer of Australia, Peter Costello, who is regarded as heir apparent to Prime Minister Howard, said, "Australia expects its citizens to abide by core beliefs – democracy, the rule of law, the independent judiciary, independent liberty." Mr. Cameron spoke with a bluntness unique in four years of politicians' discourse since September 11, 2001: "The driving force behind today's terrorist threat is Islamist fundamentalism. The struggle we are engaged in is, at root, ideological. During the last century a strain of Islamist thinking has developed which, like other totalitarianisms, such as Nazi-ism and Communism, offers its followers a form of redemption through violence." Most striking are the growing calls to extrude Islamists. Two politicians have advised foreign Islamists to stay away. Quebec's international relations minister, Monique Gagnon-Tremblay, retracted the welcome mat from those "who want to come to Quebec and who do not respect women's rights or who do not respect whatever rights may be in our Civil Code." The premier of New South Wales, Australia, which includes Sydney, Bob Carr, wants would-be immigrants to be denied visas if they refuse to integrate: "I don't think they should be let in," he said. Mr. Costello went further, observing that Australia "is founded on a democracy. According to our Constitution, we have a secular state. Our laws are made by the Australian Parliament. If those are not your values, if you want a country which has Sharia law or a theocratic state, then Australia is not for you." Islamists with dual citizenship, he suggests, could be asked "to exercise that other citizenship," i.e., leave Australia. Likewise, Australia's education minister, Brendan Nelson, also on August 24 urged immigrants to "commit to the Australian constitution, Australian rule of law." If not, "they can basically clear off." Geert Wilders, head of his own small party in the Dutch parliament, similarly called for the expulsion of non-citizen immigrants who refuse to integrate. But it was the British shadow defense minister, Gerald Howarth, who went the furthest, suggesting in early August that all British Islamists must go. "If they don't like our way of life, there is a simple remedy: Go to another country, get out." He directed this principle even to Islamists born in Britain, as were three of the four London bombers: "If you don't give allegiance to this country, then leave." These statements, all dating from the past half year, prompt several observations. First, where are the Americans? No major U.S. politician has spoken of making American-based Islamists unwelcome. Who will be the first? Second, note the consistent focus on the law and legal issues. This correctly picks up on the fact that ultimately, the Islamist project concerns the application of Islamic law, the Sharia. And finally, these comments are likely to be leading indicators of a broader campaign to restrict and remove Islamists – a move that comes none too soon. Aug. 30, 2005 update: For more documentation of this issue, see my weblog entry, "Exclude Islamists from the West?"